Reverend Benjamin Franklin Davis, Jr. of Chattanooga, passed away on Sunday, July 15, 2018, at Erlanger Medical Center. He accepted Jesus Christ as his Lord and Savior at Magnolia Baptist Church in Woodville, Ms. He was called to preach in 2007 and was ordained in 2010. Reverend Davis earned a Master of Science degree. He retired from the U.S. Civil Service System after 35 years of service. He was preceded in death by his daughter, Virginia Lucille Davis. Survivors include his wife of 42 years, Diane Thomas Davis of Chattanooga; children, LaDonna Sheri Davis of Alexandria, Va., and Benjamin Thaxter (Brie) Davis of Gaithersburg, Md. ; and granddaughter, Bryce Virginia Davis. He will lie in state on Thursday, July 19, from 1:30-3:30 p.m. at Taylor Funeral Home. 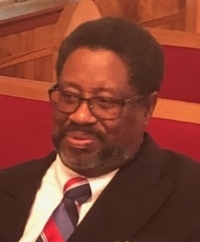 Funeral services will be on Saturday, July 21, at 11 a.m. at New Sardis Missionary Baptist Church in Memphis, Tn., with Reverend Dr. Hickman Johnson as the eulogist. Burial will be in Cooper Family Cemetery in Woodville, Ms., on Sunday, July 22, at 1 p.m.